Cares various skin with biotechnology offresh organic herb teathat are well-being certified. Among various herbal materials that have been used for several thousands of years as well as grains, the materials of which efficacies were approved also by modern science were selected. First to acquire wellbeing certification in the cosmetic field, fresh organic herb harvested and purified in the farm within a day. Organic herb tea which cares to various skin troubles to maintain healthy skin. 7 fresh organic herbs used in Atomy are cultivated in the Angel farm with organic method. Developed black yeast beta-glucan, a natural moisturizing factor by fermenting grains, with proprietary technologies. Black yeast beta-glucan maintains health to skin, to safeguard against harmful factors through skin moisturizing reinforcement. A crystallized technology of fermentation that Phellinus linteus rice comprising fungi of Phellinus linteus grown in effective components of brown rice provides sufficient nutrition to make the skin transparent and elastic. Applying theKorean medicine aging biotechnologyof that rich amino acids of Phellinus linteus Paecilomyces Japonica obtained by fermenting Phellinus linteus with Paecilomyces Japonica(best skin efficacy among mushrooms). An energy source for skin vitality with Korean herbal life science technology, assist health and elasticity to make the skin beautiful. High purification technology removes oxidants through improvement of chromaticity and enhances efficacy through high content composition. Advanced technology that improves the brownness coming from oxidation of natural substance, and extracts at a stable state for the skin. Extracting directly from natural live herbs. cosmetics, it is difficult to add large amounts of this extract because of thick discoloration from co-extraction of chlorophylls. Byremoving the pigments using high purification technology, it became possible to use fresh herbs as raw materials. Traditional Paecilomyces Japonica has excellent effects, but it is difficult to be used as a raw material for cosmetics because of its bad odor. By removing the smell using high purity refining technology, its concentrated contents became available. 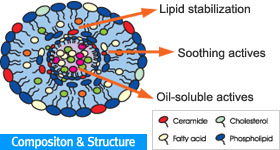 High functional products with improved skin care protection supplying the skin with rich energy were developed. Aging degrades the effective ingredients into nano-sized particles using bacterial enzymes to make them absorb into skin well. In addition, aging generates skin effective substances (amino acids) using microorganisms. Enzymes degrade horns, dead skin cells, and wastes softly and effectively. Phellinus Linteus Paecilomyces Japonica of Korean medicine fermentation science generated by fermenting Paecilomyces Japonica on natural Phellinus Linteus and Phellinus Linteus riceprovide immune system, skin regeneration function and moisturizing. Linteus rice extract is an authorized international patent, developed by Kolmar Korea and Sun Biotech. Korean medicine aging technology of Sun Biotech Co., Ltd. 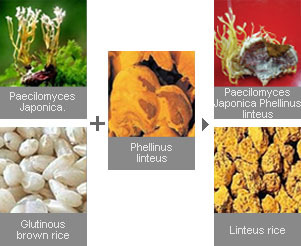 Traditional Paecilomyces Japonica has excellent effects, but it is difficult to be used as a raw material for cosmetics because of its bad odor. By removing the smell using high purity refining technology, its concentrated contents became available.High functional productswith improvedskin care protectionsupplying the skin with rich energy were developed. Intercellular space of skin is about 100~120nm. 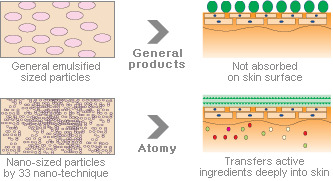 The particle size of general nano-cosmetics is 200~300nm, larger than intercellular space of skin. Thus, it might cause insufficient absorption. 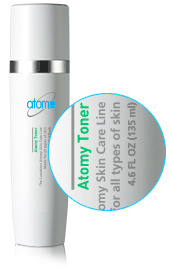 As the particle size of Atomy is 30~50nm, smaller than intercellular space of skin, its active ingredients areabsorbed deeply into the skin to make skintransparent and elastic.